Wipro BPS Walkin Jobs 2017 for Freshers in Hyderabad. 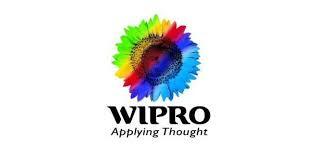 Wipro Job Openings in Hyderabad for Graduate Freshers as Associate, Senior Associate -(NonTechnical). Candidates should have Excellent Knowledge on On-Line Shopping. Interested and Eligible Candidates please practice Wipro placement papers before attending the Interview, so that you can crack the test easily. Candidates who want to build their career in an appropriate manner they can grab the chance and enhance their career. Don’t miss this Opportunity to work with a big Brand Name WIPRO. Interested Candidates can directly attend the drive at below mentioned venue. We go beyond SLAs in our approach to process outsourcing. Our industry leading process platform Base enables our customers to run standardized and efficient operations. Our clients gain insights, business growth, and measurable business impact through pre-built process asset based solutions, industry focused platform BPO solutions, and integrated IT BPO services. Our expertise lies in: Pre-built Process Asset Based Solutions – With a focus on process improvements and business outcomes we have developed over 25 productized solutions based on process assets through a dedicated solution development organization. Industry Focused & Platform Based Solutions – Leveraging Wipro assets in Cloud, Mobility, and Alliances we provide integrated IT and BPO SLAs and innovative pricing/commercial models for our key clients. Driving Predictable Business Outcomes – Leveraging technology, tools, and analytics we help customers transform operations onsite before shifting to vendor. Our industry specialists along with the Wipro consulting group enable this transformation. Investing in Industry Leading BPO Platform – Wipro Base is a flexible, adaptable, and customizable BPO platform. It supports 320 unique processes to deliver business outcomes, institutionalize knowledge, ensure transparency, controls, compliance, and drives down cost of operations. Delivering Insights & Measurable Business Impact through Business value meter – We have delivered over $ 1.1 B of value. Our one stop shop tracks and reports the value delivered to customer through process re-engineering. Standardized Processes across Expanding Global Locations – We deliver 24X7 operations through one standardized global process and provide support in all major languages in 11 countries. We hope the information provided on Wipro Walkin Jobs is helpful for your job search. If this job doesn’t suit your profile then you can look for more Freshers Jobs in our Website. Keep visiting All India Jobs for regular Job Updates, off campus drives, walkin interviews, referral and many more.